It’s that time again! 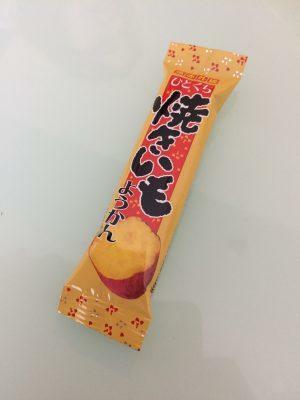 My merry band of Japanese snack enthusiasts decided that November’s Tokyo Treat box theme – Japan’s Most Iconic Snacks – was tantalizing enough to warrant purchase. Today I’ll be reviewing this month’s Tokyo Treat’s premium box, eaten and critiqued by me, my boyfriend Seth, and my fellow garbage disposal friend Bridget. 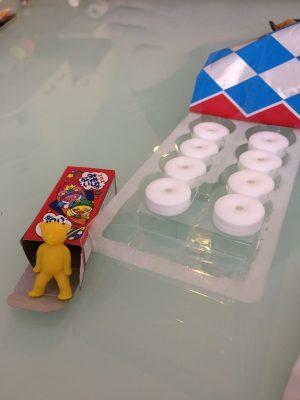 This DIY treat comes with three sticks of squishy, malleable candy…stuff, as well as two halves of a mold. 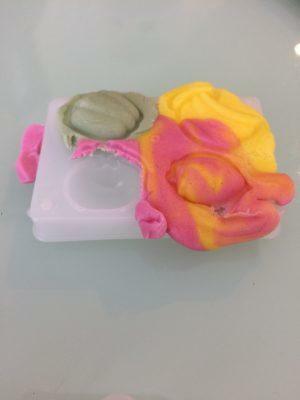 The mold transforms the…stuff into four fruit and vegetable shapes. According to the box’s instructions, to make orange for the carrot part of the mold, you mix the yellow and pink…stuff. Whatever you say, Coris. 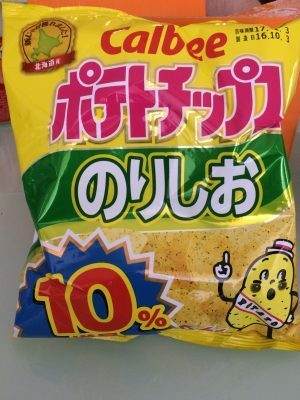 The yellow stuff was banana flavor, which I avoided. The green was a pleasant apple that Bridget and I both liked a lot. And finally, the pink was – well, it tasted like pink. 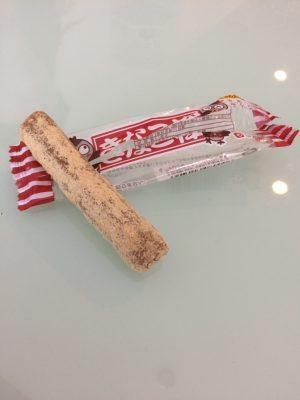 If you’ve ever had a Pucca or similar brand of squeezy bubblegum paste as a kid, the texture and flavor of the candy sticks were very similar. Our thoughts: Fun texture, nothing too exciting. This one was so small that we didn’t bother splitting it, and in fact Seth was the most daring out of all of us and immediately volunteered for the role of taste-tester. The product description in the Tokyo Treat booklet basically billed Mayotara as a fish-flavored jerky with a little packet of mayo on the side. Not a particularly thrilling “treat” to taste-test, especially for the disqualified vegetarian, Bridget. In the end I did tear off a tiny bit and spent a long time trying to chew through it just to get rid of it. Neither of us used the mayo because we figured the papery fish leather we were chewing could not be improved by anything. And we shuddered to think it could actually be made worse. Look at that sorry excuse for a piece of tree bark. 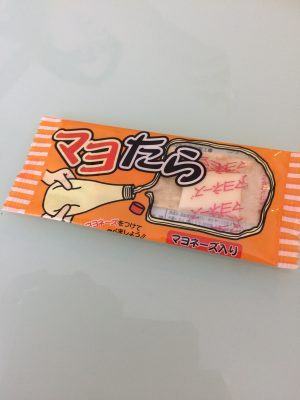 The Kinako Stick is apparently a semi-soft chewy candy covered with an ample amount of roasted soybean flour. 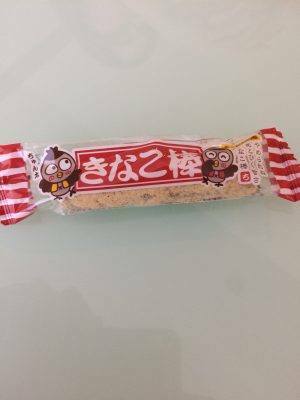 My experience from the last Tokyo Treat box candy that had roasted soybean flour was that I absolutely do not care for the stuff. That said, we pulled apart the weird, dense stick into three pieces and gave it a go, coating Bridget’s tabletop in soybean flour. Disgusted looks all around, with an added gagging sound or two from me. The worst part of this, and that’s saying something considering that the flavor was pretty nasty, was that it was so chewy and dense that it was hard to get rid of. 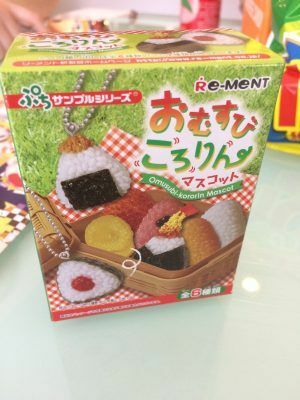 While I was busy complaining about the awful taste the Kinako Stick had left in my mouth, Bridget made short work of the packaging for our little inedible gift – a rice ball keychain! Like most fake food items from Japan, each grain of rice was carefully detailed and was a cute addition to the pile of goodies. It’s now sitting on one of the tables in my house, waiting to be added to my overflowing keychain. 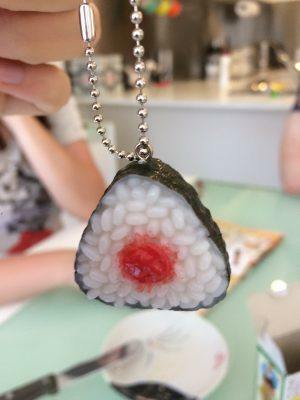 Our thoughts: Don’t try to eat it, but it’s cute. Holy crap, are there any more of these? Seriously, just send me a box of these and nothing else. 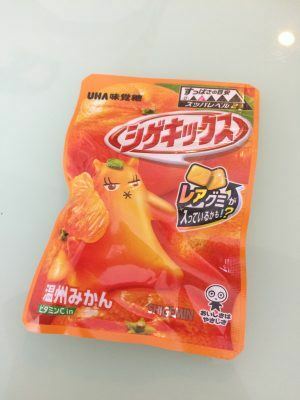 These little semi-hard gummies are powerfully tangy and full of juicy mikan (so basically orange-y, citrus-y) flavor. 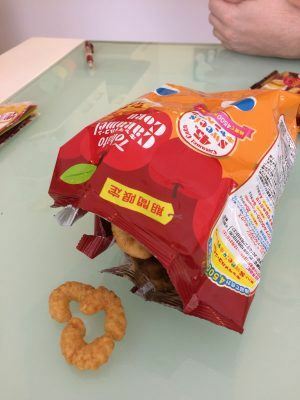 Apparently the gummies are supposed to come in a puzzle shape so you can put together a picture of the mascot on the front of the packet. That was a damn lie as the little cone-shaped candies you see in the picture are the only shapes available. These were powerfully delicious and were the undisputed highlight of the whole box. 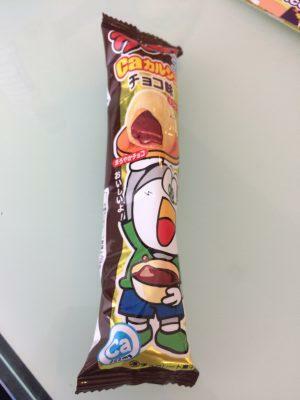 Ah, Morinaga. 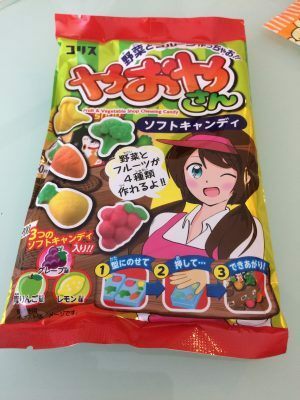 If you’ve ever eaten those mixed fruit drops in the metal tin (made popular by the Ghibli movie Grave of the Fireflies) or eaten DARS chocolate, you’ve had a Morinaga product. 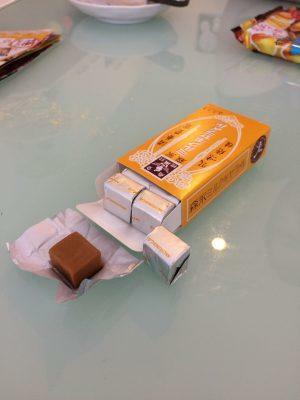 In my experience, a lot of Morinaga candy and chocolate is individually packaged with cute, clean designs on the box. The food itself isn’t half bad, either. 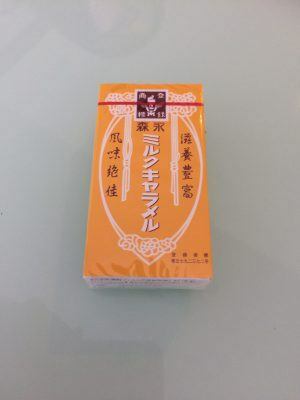 The Morinaga Milk Caramel isn’t any different. The caramels are individually wrapped in cute little silver papers and the candies are smooth and tasty. Honestly they’re not that much different from a little single-serve caramel you could get basically anywhere. 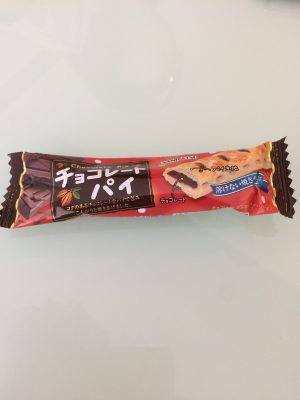 But, if I was going to go out searching for such a thing, I would definitely try to find the Morinaga variety if I could. Our thoughts: Wouldn’t eat a whole box, but definitely tasty. And while we’re on a delicious taste high, let’s bring ourselves back down to a crushing reality that includes something that is basically baked sweet potato jelly. 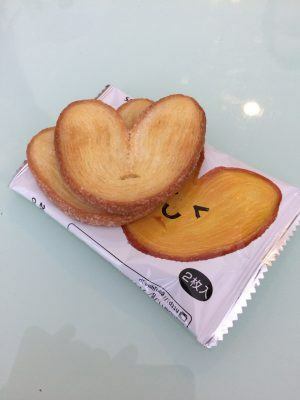 Yokan is typically made with sweet red bean paste, with the same jelly consistency. Just think on that for a minute. 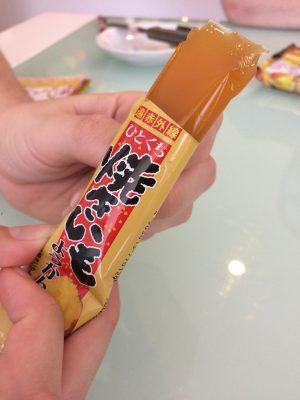 This yokan is a seasonal winter sweet potato variant. We carved off the most reserved slices and tucked in. The texture and the flavor hit you all at once, and then the flavor stays in your mouth for ages afterward. It is not a good flavor. Our thoughts: Sweet potato has no place in jelly. 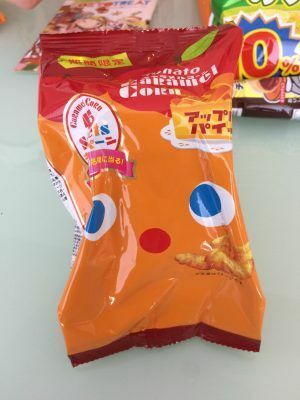 After being thoroughly punished by the yokan, we tucked into the weirdly hard to open bag of “caramel corn”, which turned out to be crunchy little biscuit things similar to Cheetos or Twisties, but in a really delicious caramel and apple pie flavor. 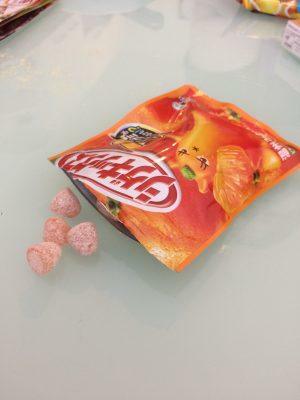 The others said that they found the taste overly sweet after a few bites, but I was content to eat the whole pack (I didn’t, but I would have been very content to do so). A word of caution: upon trying to bring the open packet home, I found that it had gone stale after an hour of being opened. Perhaps I should have eaten the whole pack when I had the chance. Our thoughts: Crunchy and super sweet! It was either Bridget or Seth who said that these are the sweets you give to your child when you don’t want them anymore. That’s not because they taste bad – no, far from it. It’s because they’re goddamn dangerous. In Australia (and probably other countries under different names) while I was growing up, Melody Pops were the best things ever. They were little pink-flavored rectangular lollipops that had a few holes in the top and a stick that could be pulled in and out. You could annoy your parents by learning how to use a slide whistle, in essence, all while cultivating that diabetes you’d heard so much about. 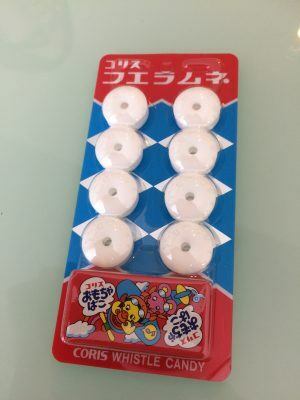 Whistle Ramune has been around since the 70s, according to the provided booklet, and basically works as follows: put the candy in your mouth either in between or in front of your teeth so that the hole is facing out into the world. Blow through it to make a whistle sound. That’s it. I was unable to even try using the whistle candy for a while because I was too busy crying from laughter watching the other two whistle at each other. I pointed out why I hadn’t been able to do it yet – not wanting to swallow the candy while laughing – and Bridget promptly laughed and swallowed hers whole with a surprised gulping sound. The actual taste and texture of Whistle Ramune is something that the others didn’t care about one way or the other but that I loved. 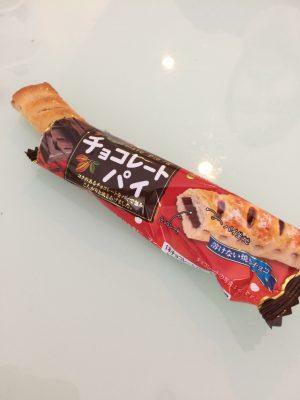 I’m a fan of the hard yet crumbly, chalky sort of texture and the flavor was just nice and sweet and the tiniest bit tangy (it’s ramune-flavored, after all). But don’t worry, parents, this isn’t the only reason Whistle Ramune is the best way to choke your small child. Look in the small box at the bottom of the packet and ye shall receive a free gift in the form of a little guy we have dubbed “Charlie the Choking Hazard” (aka Chokey the Choking Hazard Bear). Charlie is creepy and we left him at Bridget’s house for her to deal with. Our thoughts: Choking Hazard 10/10. 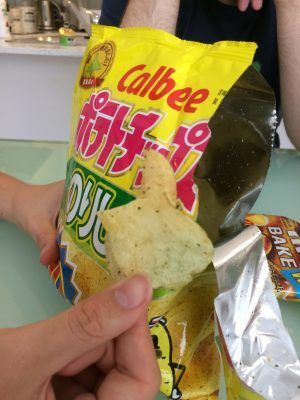 Upon opening the box and laying out the contents, Bridget was delighted to find a pack of Calbee Seaweed & Salt Chips, as she had discovered her love for them on her trip to Japan earlier this year. The chips were less salty than the typical ready-salted original flavor you see around these parts, and they had an extra little note to them – probably the seaweed – that was quite refreshing. These are solid chips that Bridget probably devoured later under the cover of night with a rabid glint in her eye. Our thoughts: Agreeable chip flavor, nothing bad to say. 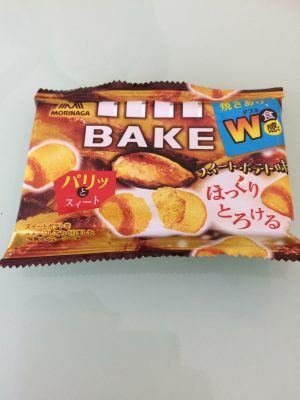 We were all a little anxious about returning to another sweet potato-flavored candy after the yokan from earlier. 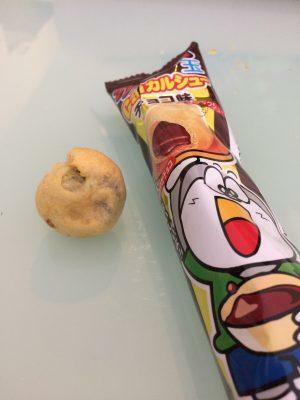 However, when we tucked into the weird crispy-crunchy yet somehow smooth cookie…things from BAKE, we were pleasantly surprised. 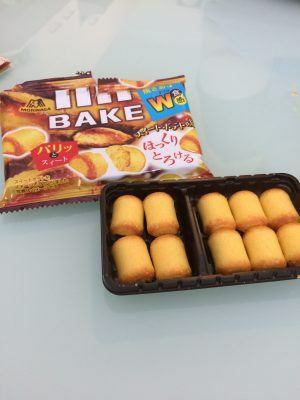 I’m unable to come up with a comparable texture or flavor, but these were very tasty little biscuit things that I wouldn’t hesitate to pick up if I saw them on my next trip through Japan. 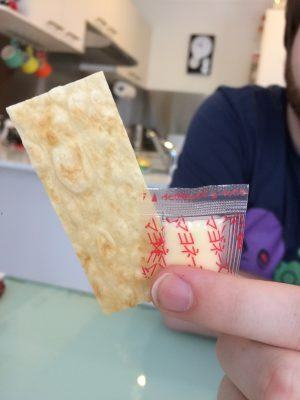 The divider inside the packet is a little arbitrarily placed, though. Our thoughts: You’ve regained our trust for now, sweet potato. We didn’t have high hopes for the Chocolate Pie Bar simply because we could tell from the outset that it was going to be filled with the cheapest, nastiest chocolate known to man. We weren’t wrong. That said, the flaky pastry outer layer of the bar was quite enjoyable. If they hadn’t cheaped out on the chocolate inside, it would have gotten a higher rating. Our thoughts: Better chocolate would improve this in leaps and bounds. Another pie that isn’t a pie. These cute little biscuits were basically sweet biscotti. They were crunchy and dense without being crumbly. We still have no idea what flavor it was aiming to be, but we definitely understood why they had been popular since 1965. Bonus: We got to break a couple of hearts while tasting this one. Our thoughts: You’re not a pie, but you’re not bad either. Japan doesn’t know how sharing works. 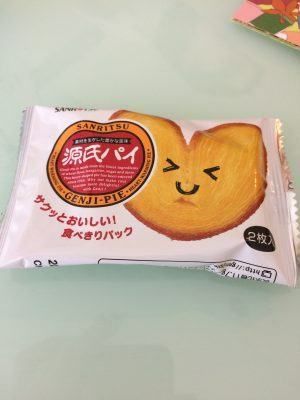 The Genji Pie had two biscuits, and this packet of pseudo-cream puffs contains…four?!? Don’t they know we eat through these boxes in groups of three? Jeez. Serving size aside, the chocolate in these (which we expected to be similar to the Chocolate Pie Bar) was much better than anticipated and tasted somewhat like Nutella. The little cream puffs actually did look like miniature versions of real cream puffs, although for me the outside was somewhat stale. I don’t think it actually was, but this is what happens when you try to replicate and mass-produce the texture of a pastry that is best eaten on the same day that it’s made. Our thoughts: Better than anticipated! I’d actually had these before and they tasted just the same as they did many years ago when I first tried them. Japan really likes “milk”-flavored things and I always have to remind myself that that doesn’t indicate that it’s going to taste like vanilla. 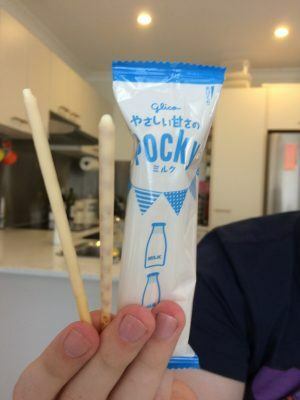 This flavor of Pocky offers a subtle sweetness that might be good if you don’t fee like something as rich as chocolate or sweet as strawberry coating your delicious pretzel sticks. What makes milk soft, though, Glico? Our thoughts: A good palette cleanser. 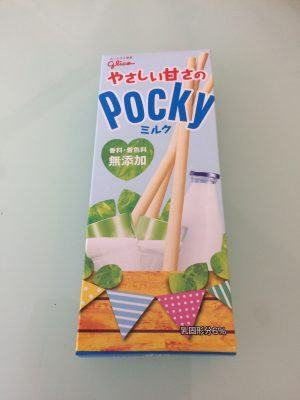 We’ve come to the final item in the treat box, which we paired with the fairly neutral previous entry, Soft Milk Pocky. This is another one that I’ve had before because it shows up in Asian supermarkets all over my area of Australia. 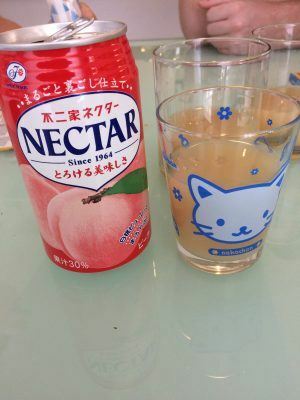 It isn’t fizzy as you may expect, and it’s a somewhat thick, smooth drink with a strong peach flavor. All of us enjoyed it, but it was nothing to rave about. Our thoughts: Paired well with the Pocky. 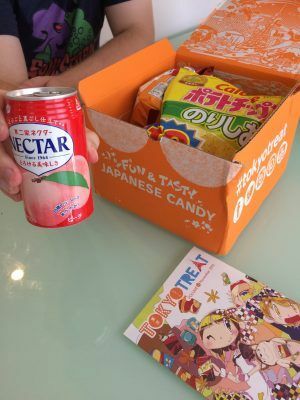 We all agreed that compared to the last Tokyo Treat premium box we enjoyed together, there were fewer outright disgusting or really questionable items. 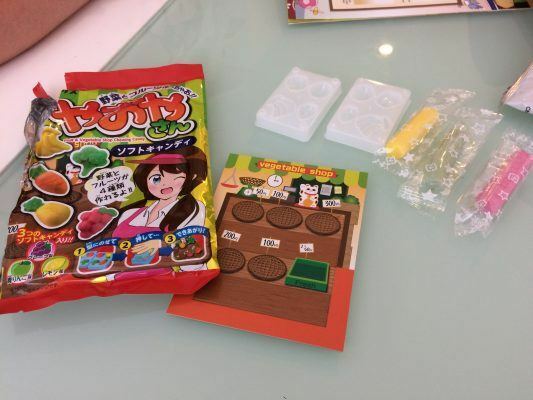 Some of the items in the Japan’s Most Iconic Snacks box were a bit strange or neutral, but most of them were snacks we hadn’t heard of before, let alone tasted, and the majority of them were very tasty. For now, we lie in wait for the next monthly theme that’s tantalizing enough to bring us all together again for another episode of Treat Boxes in Spaaaaaaaaaace. This was not a sponsored review, but interested parties should definitely check out Tokyo Treat.